Country music is all about storytelling, with the singer’s tales of love, heartache and bar stool sorrow at the focal point. As such, the harmonic content is usually kept pretty simple, and the majority of country songs feature standard issue major and minor chords, and most songs in the canon are built on just 3 or 4 chords chords (Country Music Hall of Famer Harlan Howard once said when asked to define the perfect country song, he said: “Three chords and the truth” ). 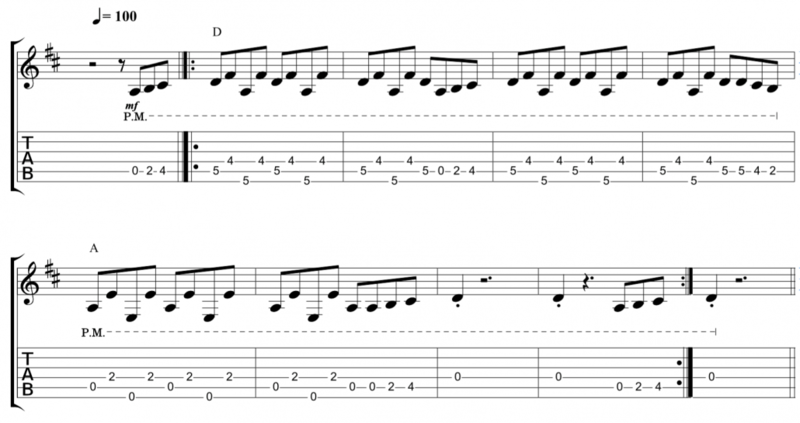 This lesson will focus on country rhythm guitar, and will cover basic strumming, bass-strum rhythm, and “boom-chick” rhythm. This is an easy going little ditty with a nod to Hank Williams, one of country’s most revered performers. It features a 3-chord progression and simple strumming pattern in the key of C major (C – D – G). 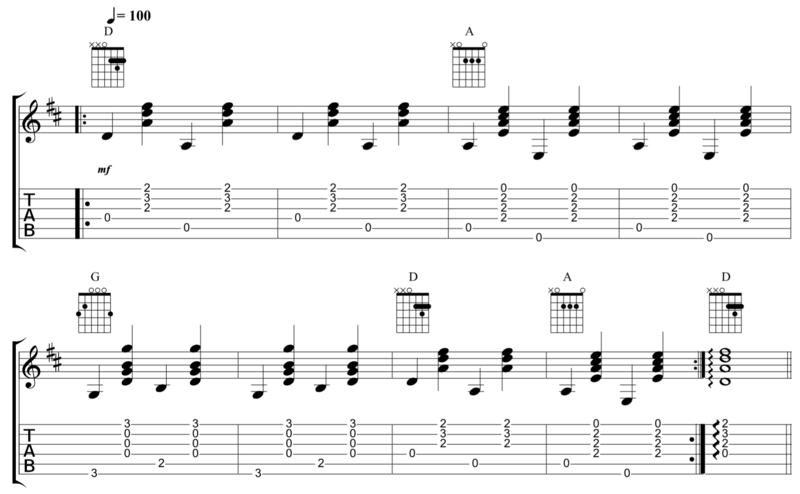 Focus on clean chord changes and maintaining a steady rhythm throughout. 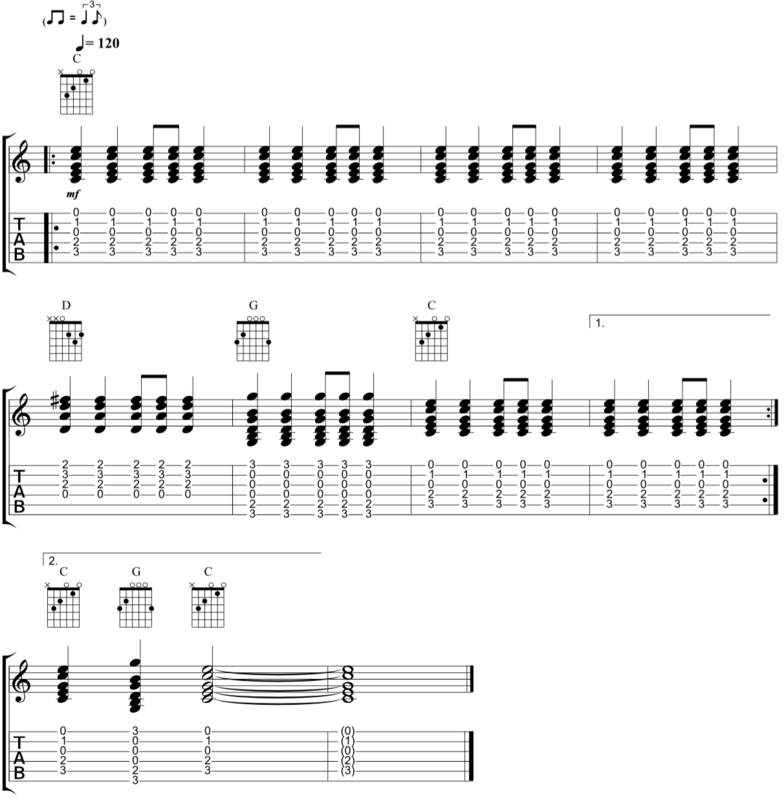 This is a gentle country ballad that uses an alternating “bass-strum” technique, where the player plucks the root of the chord on the first beat followed by a chord strum on the second beat, then plucking either the 3rd or 5th of the chord on the third beat followed by a chord strum on the fourth beat. This style of accompaniment is ubiquitous in country, folk and blues music, and is a great way to add a little interest and sense of momentum to your picking. 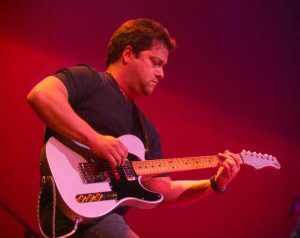 The final country guitar example is an uptempo outlaw boogie in the style of Luther Perkins, guitarist for Johnny Cash. Here we use a palm muted “boom-chick” rhythm throughout, which is the same idea as the alternating bass-strum pattern, but with single notes instead of chords on the second and fourth beats. The example starts off with a 3-note walk up the D major scale to our root note and a walk back down when switching to the A chord. This is another ubiquitous, simple technique used in country music to add motion to chord changes, and should be learned by all aspiring pickers. Country Guitar is one of the most popular guitar genres in the world. It uses many basic guitar chords and rhythms and provides a great foundation for all your further guitar studies.